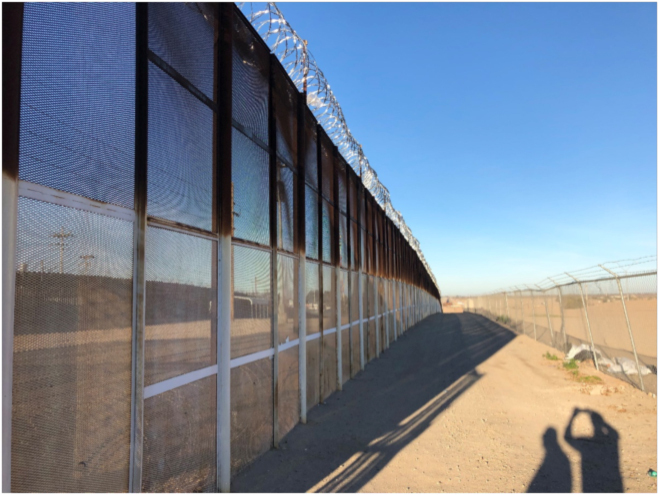 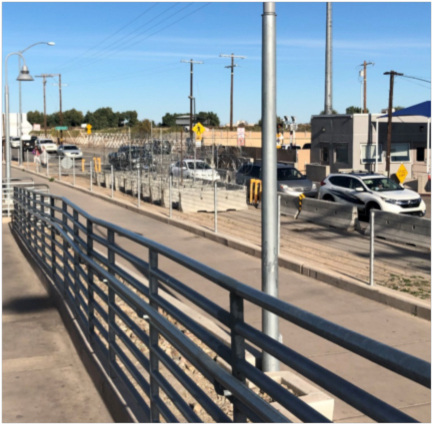 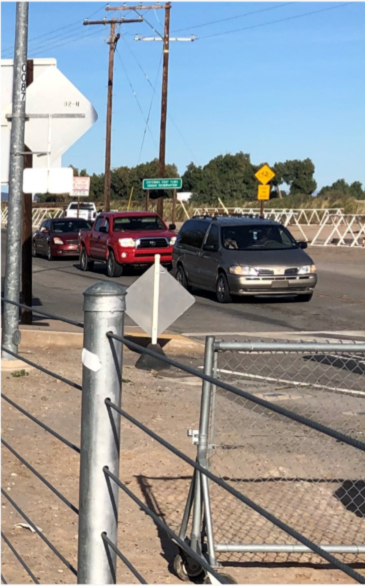 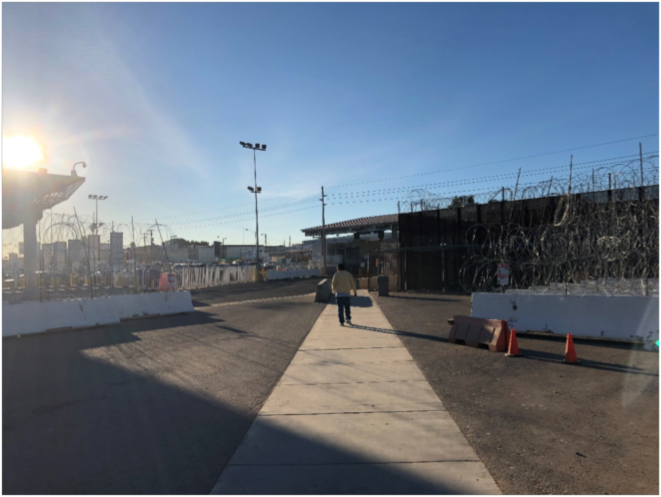 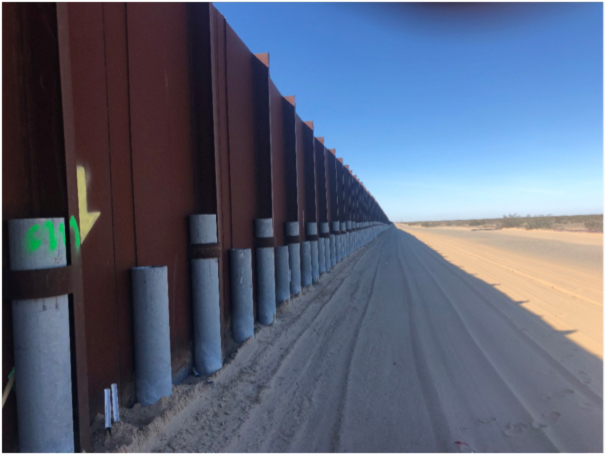 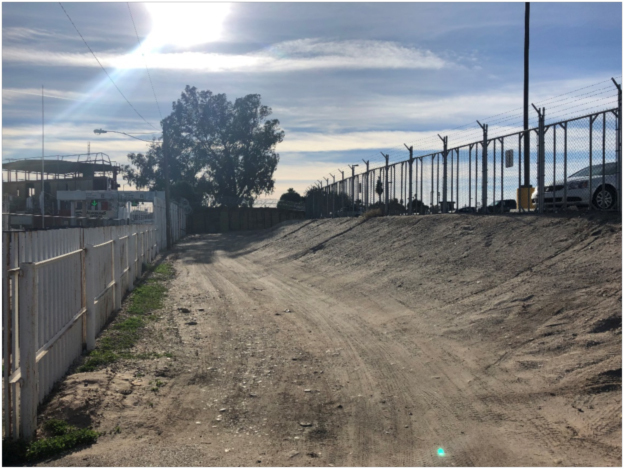 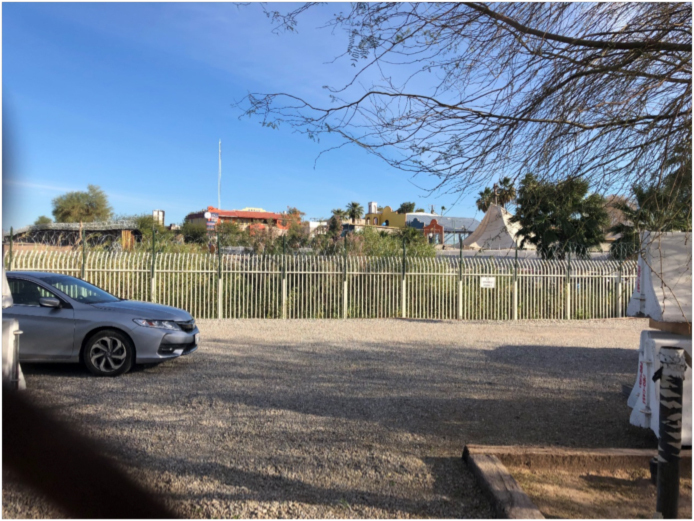 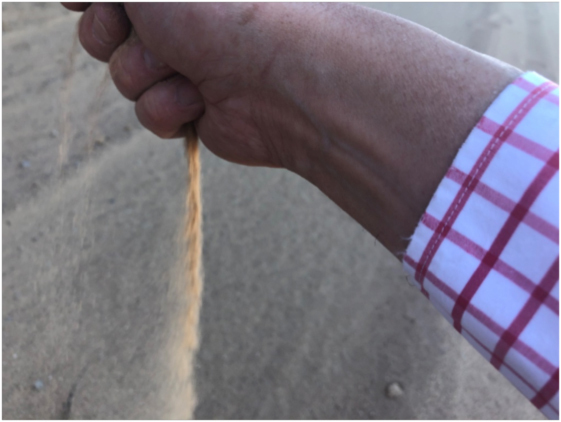 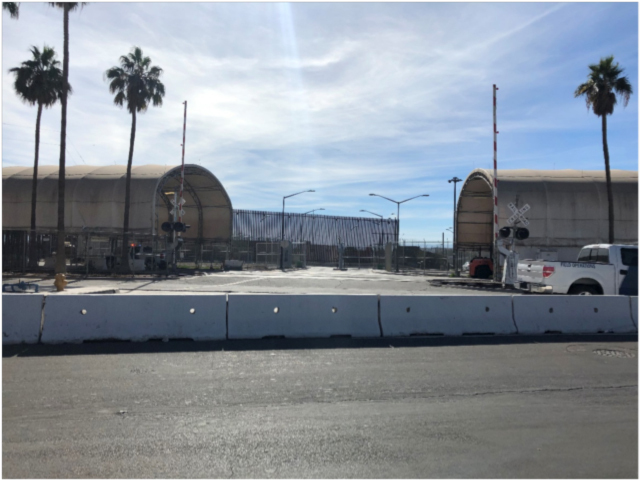 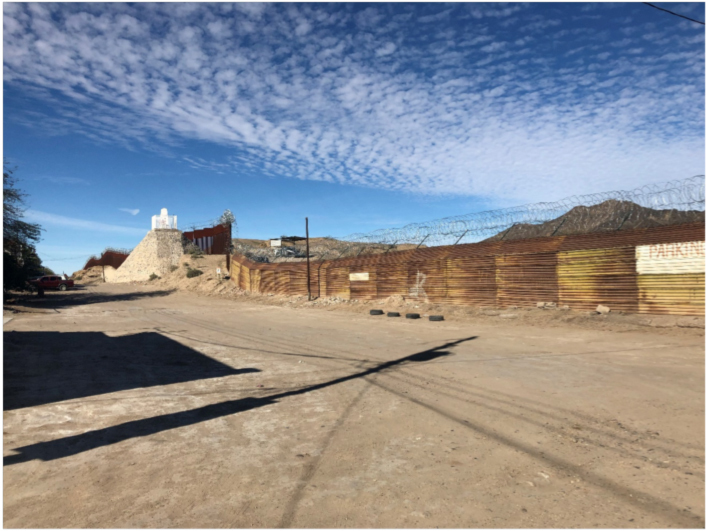 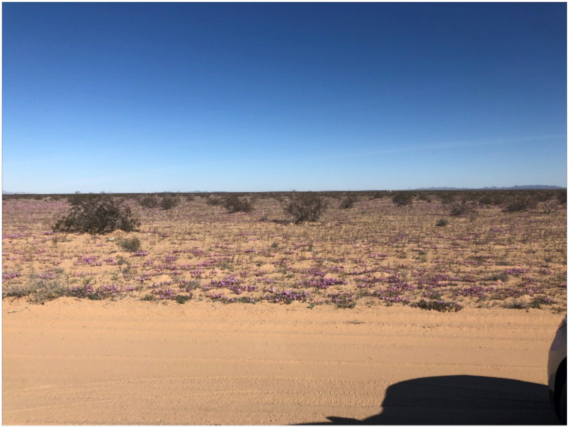 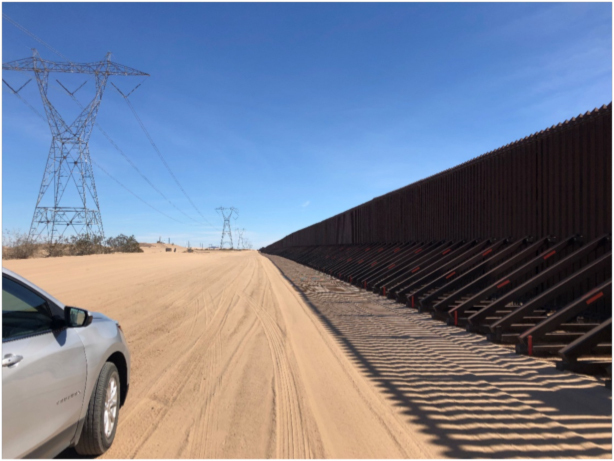 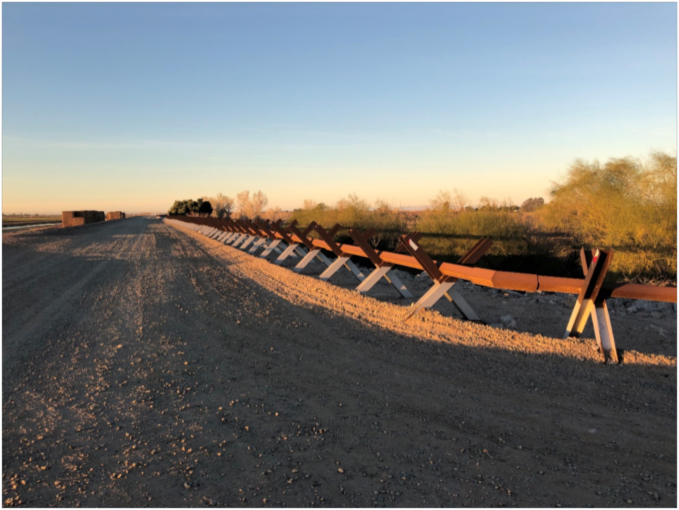 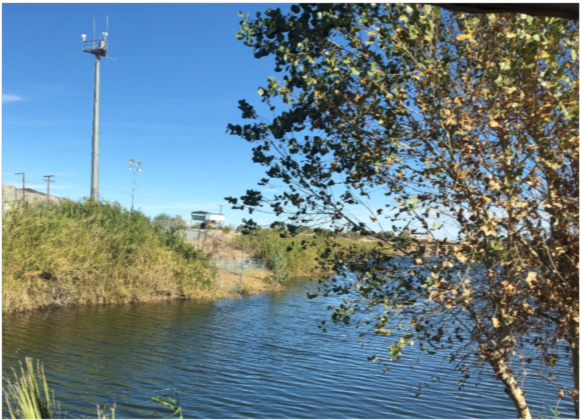 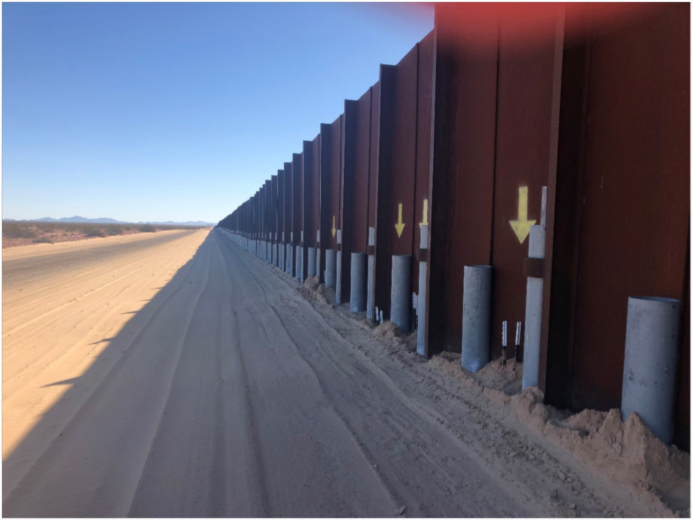 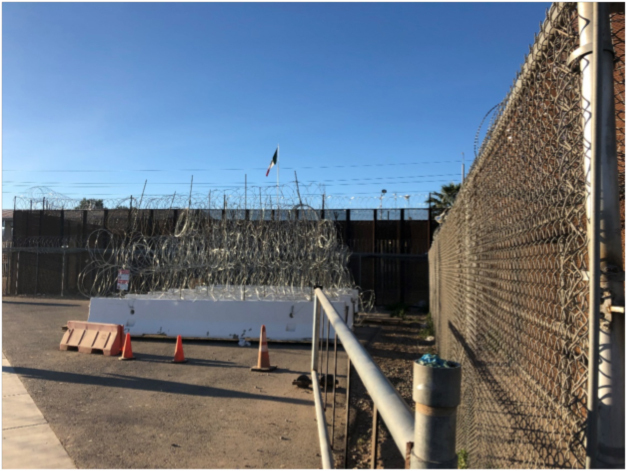 I recently returned from a trip to the western Arizona and eastern California portions of the border with Mexico, where I had the opportunity to view the fences and other barriers that have been erected between the two countries. 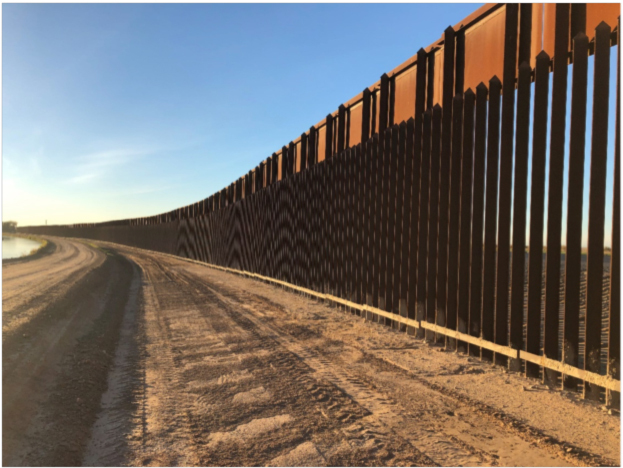 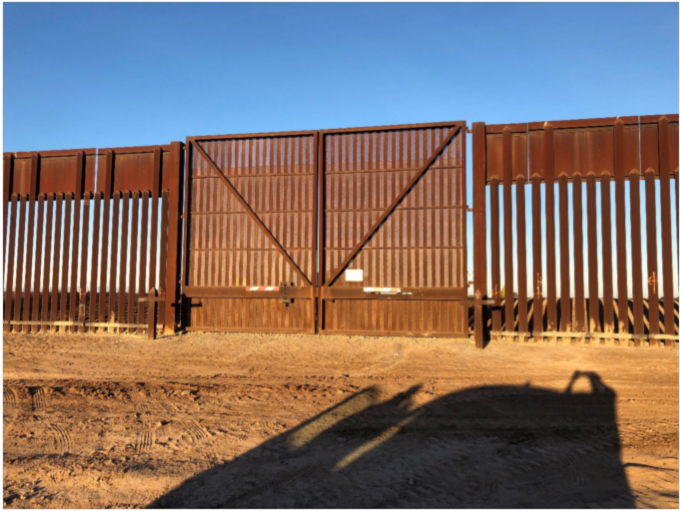 The architect Louis Sullivan famously remarked that "form follows function", and that is applicable in its truest sense in the manner in which the specific style of barrier that is being used at different parts of the border matches the purpose for which it was erected. 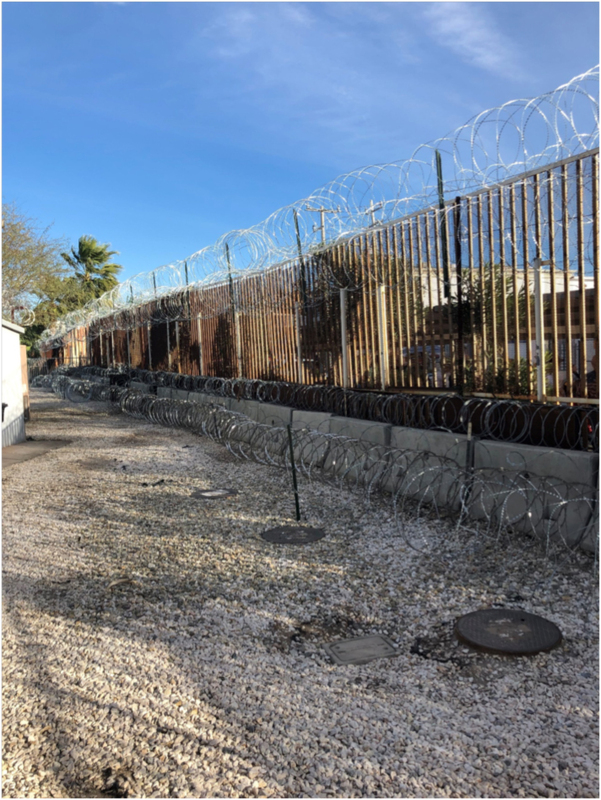 As you can see, the landing-mat wall is topped with razor wire, which was recently installed in order to prevent illegal border-crossers from traversing the wall. 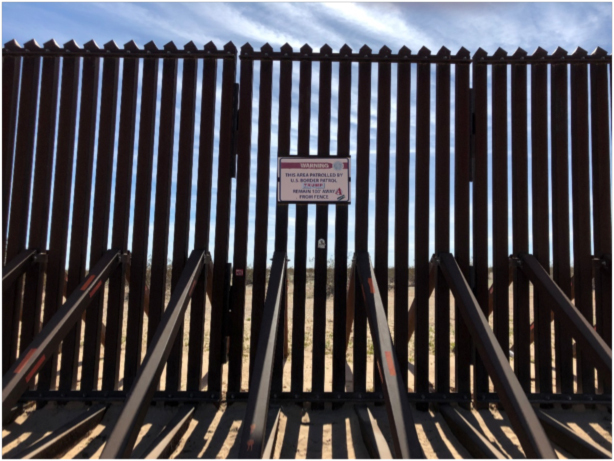 The gates allow Border Patrol vehicles access to the road on the other side of the fence. 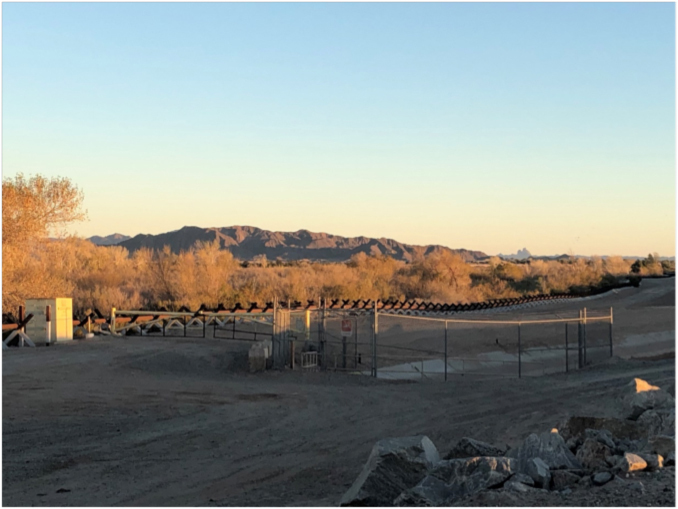 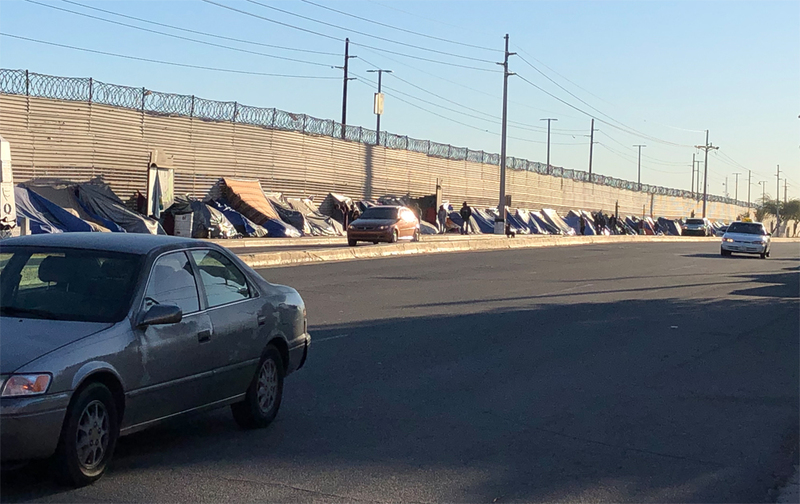 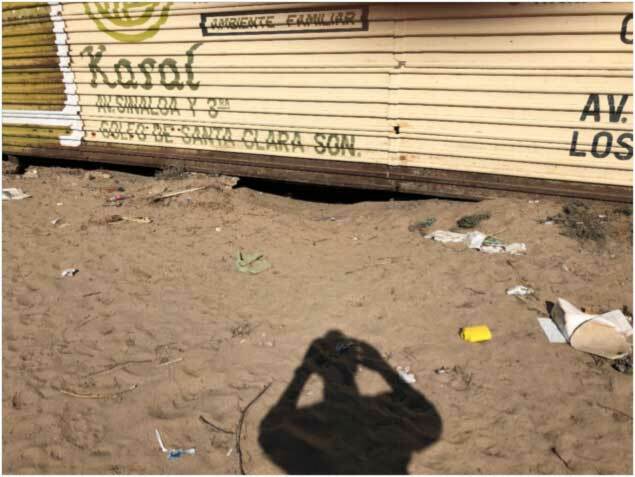 The largest single group of migrant families and minors ever recorded in the Yuma area tunneled underneath a border fence and voluntarily turned themselves in to U.S. Border Patrol agents, according to Customs and Border Protection officials in Arizona. 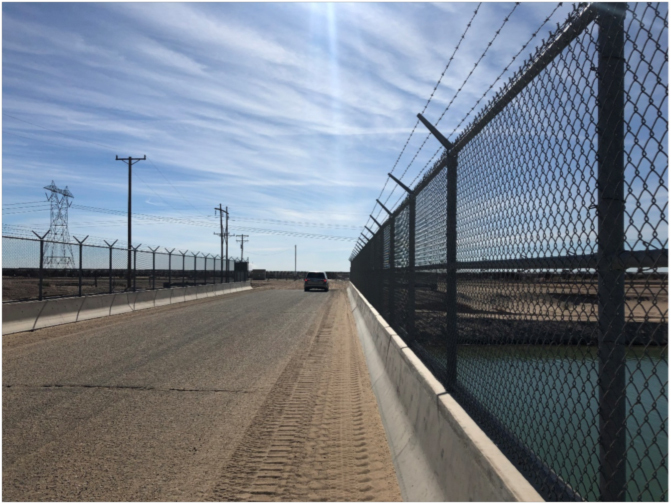 A group of 376 migrants, composed almost overwhelmingly of Guatemalan families and children seeking asylum, breached the U.S.-Mexico border just before noon Monday, approximately 4½ miles east of the San Luis commercial port of entry. 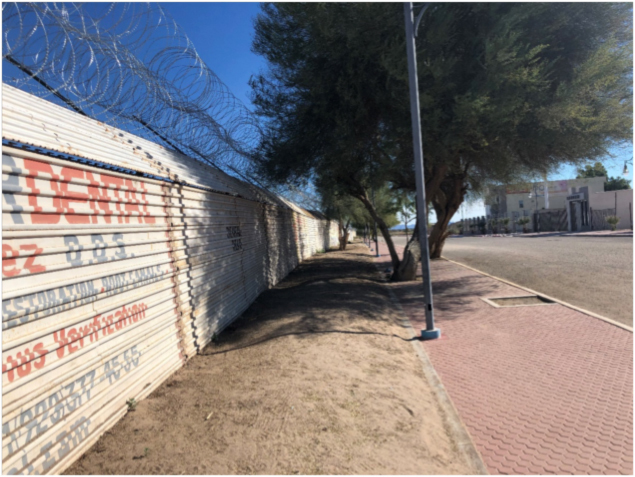 Finally, visible in the right-side background of this photograph from the port of Andrade are simple tubular vehicle barriers.